The Harrod Sport ® Futsal PVC Football Post 10ft x 7ft is a regulation size goal for use when training for Futsal matches. Futsal is the name given by FIFA for the only version of 5-a-side football that it recognises. 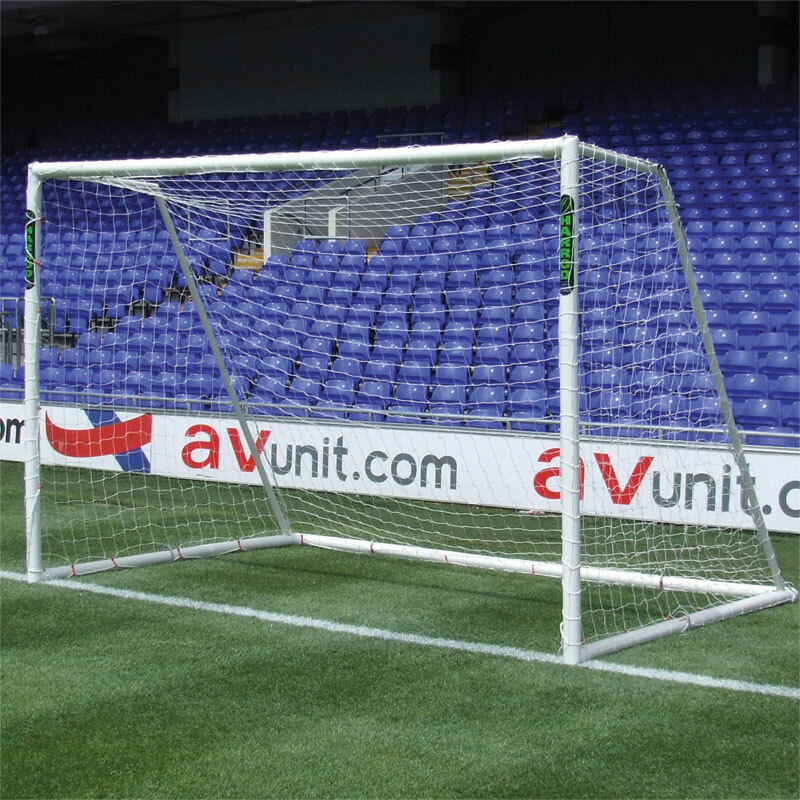 1 x Freestanding PVC Goal Post 10ft x 7ft. 2 x 'U' Peg Anchors. Supplied with carrying bag, 3 "U" style peg anchors and durable polyethylene net. 3m x 2m x 2m runback (10’x 7’ x 7’) - 16kg per goal.